Are you Hans, Luke or Leia? Columbia has just unveiled three limited-edition jackets inspired by iconic Star Wars characters, and, big surprise, they're actually pretty stylish! The jackets are inspired by the costumes worn by Han Solo, Princess Leia and Luke Skywalker, with Columbia’s designers worked closely with Disney and Interactive Media to ensure that every detail on the jackets is authentic and true to the classic film. It's named after the Rebel’s secret base on ice planet Hoth. Despite their looks, these aren't movie props, the collection is constructed with Columbia’s “Tested Tough” promise, and delivers the brand’s industry-leading technologies to ensure that they stand up to the freezing conditions. Inspired by Leia’s original costume featured in Star Wars: The Empire Strikes Back, this jacket and vest combination is crafted of a durable, water-resistant, cotton-blend fabric and insulated with Omni-Heat Reflective lining. The Jacket has a vintage look, and includes a stowable hood, seam piping, and gusset sleeves. This durable cotton-blend, water-resistant jacket and vest combination with a stowable hood is inspired by Luke’s original Hoth costume in Star Wars: The Empire Strikes Back and features Omni-Heat Reflective insulation to conserve body heat. Crafted of durable water-resistant, cotton-blend fabric and insulated with Omni-Heat Reflective lining, this parka will keep you warmer than a Wookiee hug. 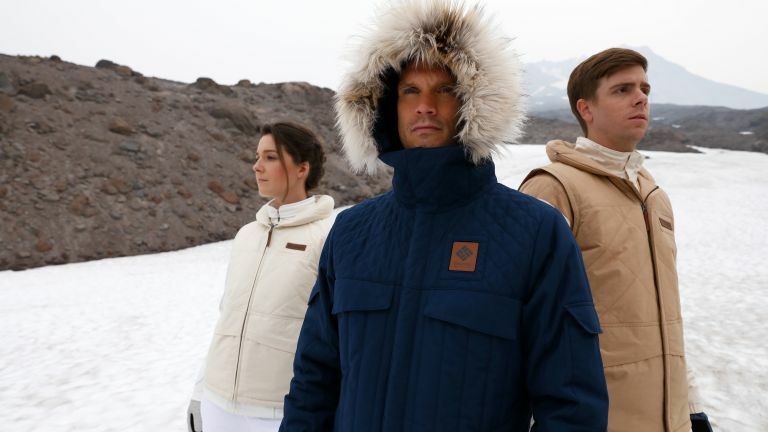 Inspired by Han’s original Hoth jacket in Star Wars: The Empire Strikes Back, the jacket features multiple closures, a leather Rebel patch, and quilted faux-fur trimmed hood. Only 1,980 jackets of each style have been produced (a nod to the release date of The Empire Strikes Back), and each are individually numbered. The officially licensed collection will be available in limited quantities on Columbia's website and via Columbia’s High Steet Kensington store beginning Friday, December 8. Just in time for Star Wars: The Last Jedi!